Danielle will do anything to save her son from cancer, but that means facing dark family secrets and finding the boy's father, who doesn't know the child exists. 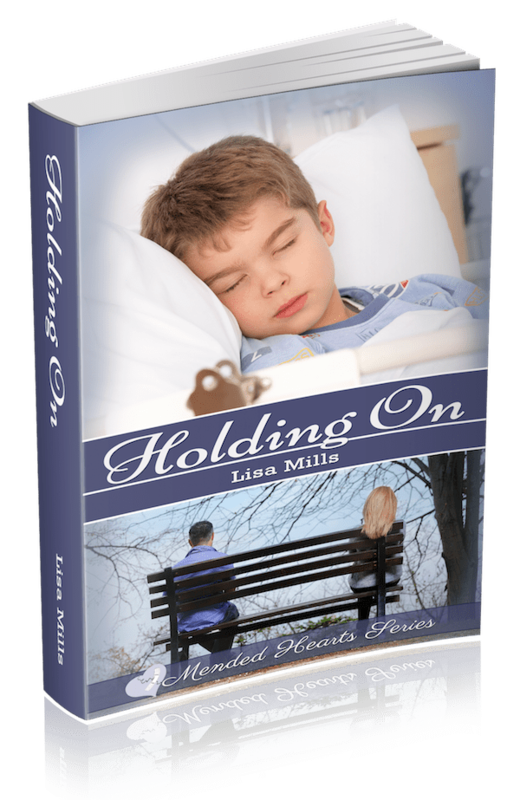 “Holding On” explores the depths of a mother’s love and the strength inherent in a woman’s heart. Enjoy romance, humor, and intense family drama all rolled up into one satisfying story. Danielle ran away from home at eighteen, determined never to go back to the misery that was her childhood and the people who caused her such pain. But when the single mom’s seven-year-old son is diagnosed with leukemia, facing her pain-filled past is the only way to get him the marrow transplant he needs to save his life. She returns to her hometown to ask family for help and to search for the father of her child who abandoned her so many years ago. There’s no question she’ll do anything to save her son, but she isn’t sure she can survive facing childhood secrets and the love of her life who left deep scars on her heart. Can anything good come from the tangled mess of her life? “Holding On” explores the depths of a mother’s love and the strength inherent in a woman’s heart. Enjoy romance, humor, and intense family drama all rolled up into one satisfying story. Comes in Kindle, Print, and Large Print Editions.